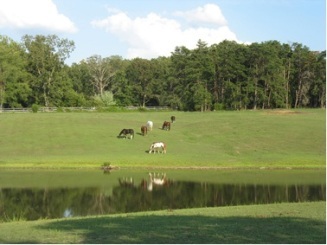 Welcome to our family owned and operated Prince William County Virginia Equestrian Center. Call 703.590.4224 for information and rates. 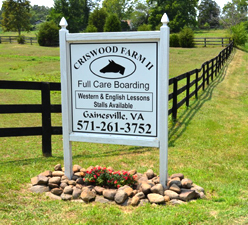 Horse riding lessons, horse boarding, and horse summer camps serving communities of Woodbridge, Lakeridge, Westridge, Southridge, Belmont Bay, Fairfax, Fairfax Station, Lakeridge, Westridge, Southridge, Belmont Bay, Stafford, Triangle, Dumfries, Clifton, Manassas and all of Northern Virginia since 1976. The Farm and Horses thank you for a great 2018 Summer Camp. We look forward to seeing you in 2019. We begin taking applications for 2019 Summer Camp on March 15, 2019. The Horses and our staff can't wait to see everyone. 5304 Hoadly Road, Manassas, VA 20112. March 15, 2019 for their 2019 Spring Break Horse Camp and Summer Horse Camps. The cost for the Spring Break Camp is $425.00 from 9am to 3:30pm. The cost for Summer Camp is $325.00 from 8:00 am to 1:00 pm. Please Note: June 12 -14 is a partial week costing $200. Starting at 1:00 pm we also offer a special after hours session for an additional fee. Call us for details. Please call or email us at criswoodfarm@comcast.net with your name, phone number, and number of riders to reserve your place. The horses and staff look forward to seeing you all again this summer! On the Criswood II web site, please click on the application form link to see the exact dates and times of the camps. We make the perfect surprise to light up your child's eyes.. 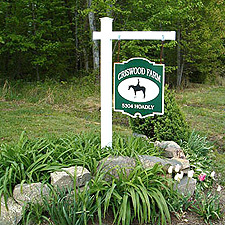 The Christopher family started the Hoadly Road Farm and Tack Shop by offering the finest equestrian center for local horse owners in the nearby communities. Over the years their daughter Connie became a qualified trainer and instructor, so they opened and expanded the riding and lesson programs. Connie trains and shows American Quarter Horses throughout the United States. She also coaches and trains youth and amateurs on their Quarter Horses. Connie is a professional horseman with the American Quarter Horse. Our qualified staff of instructors teach English and Western Riding Lessons daily. Each staff member is an experienced riding instructor. Our accredited instructors can teach small groups, and morning, weeknight and weekend classes are available in our indoor and outdoor facilities.